This type of popup box is a dialog box used when a programmer wants to make sure that the information is passed to the user. The alert box pops up with an OK button which the user has to press to continue further. The above statement will display a dialog box with message Exforsys and a OK button. The dialog box remains in view until the user presses the OK button. This would display an empty dialog box with an OK button that the user must press to proceed. It is also possible to display messages with values of variables in an alert box. 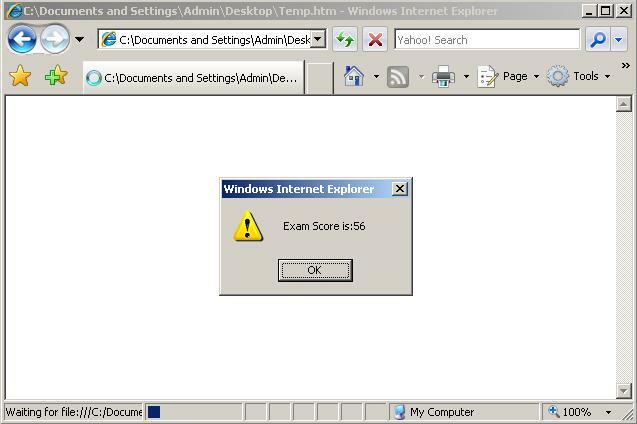 In the above script alert box displays the value of variable exam_score concatenated with a string. The plus sign acts as a concatenation symbol. It is vital to understand that the alert box can be placed in different locations or events. Depending on the placing of the alert box and based on the place of usage, the alert box will be activated. it is possible to place the alert box so that it pops up when a page is loaded. it is possible to place the alert box to be activated when a button is clicked. 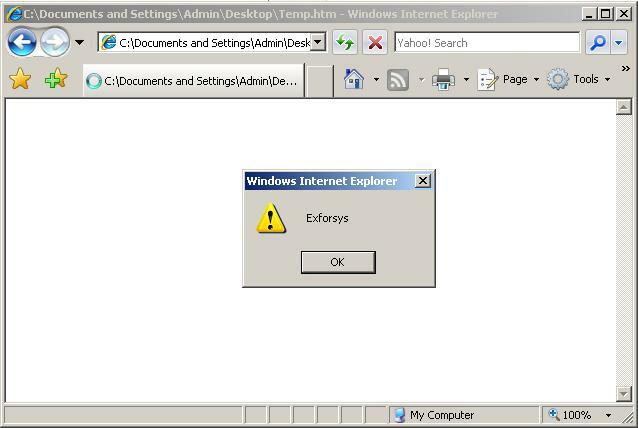 In the above example, message Exforsys pops up in the alert box when the page is loaded.